Topic: Can anyone give me a 100% identification of this body type? 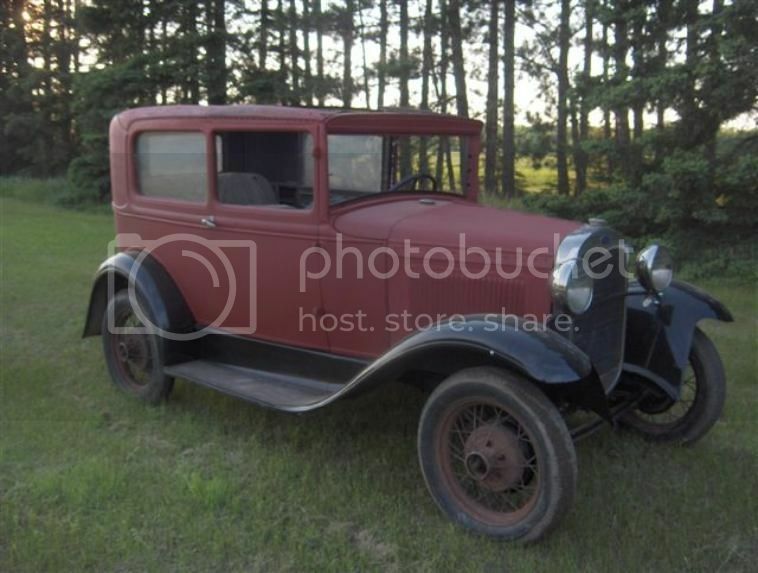 I just purchased this identified as a 1930 ford model A ... but I was trying to find the exact identification on this body type I couldn't find anything about a model A sedan 2 door... It does however closely resemble a 1929 Tudor ... can anyone tell me any more about what they think this exact year and body style would be? Re: Can anyone give me a 100% identification of this body type? So now a new question... IS this right and pretty much and 2 door sedan between 1927 and 1931 would have the same exact body for the most part... I know there would be some slight differences in grille styles and lights... SO if I am going to use this body on my own frame as a custom build car does that mean I can call it any year model between 27 and 31? what would be the difference? and would there be any pros or cons by calling it 1 way or the other. I found a great discussion board about show cars and identifying markings.... I have it down to 29-30 tudor... I don't know the history of this particular car but I do now know where to look for a vin stamp on the frame... (and it says most likely it will NOT match the engine) but it also gave me info on identifying the engine build date from the number (but sais it could be about 3 months later installed than the actual cast and build) Oh and yes the fender and body needs to come loose.... I took the fender loose and couldn't find anything before but I found that it would be stamped drivers side just past the 1st body bolt on the frame. '28 and '29 were the same body style, mostly identifiable by the curved vertical line of the cowl. '30 and '31 were the same body style, mostly identified by smooth cowl sides. The body in your photo has a seam in the side splash apron directly below the door seam which would identify it as a 1930. The '31 had a smooth splash apron.